Cut back on your TV watching and spend more time with the offspring! This is a demand which is sometimes made by spouses and the demand is frequently appeased with less TV watching but reluctantly. You invade the Crimea and demand that it become part of Russia. If this happens then you are appeasing the Russian tyrant and aggression if you don’t take any counter measures or enforce punishing economic penalties. There is political appeasement, spouse appeasement, and business appeasement such as giving in to demands for wage increases by a union or individual worker. In business a demand for a wage increase is frequently appeased reluctantly by the boss or owner if it is a good necessary worker. Demands in real life are frequent no matter what the human source and we frequently have no choice but to appease those demands to avoid future confrontations and arguments about the same subject matter. 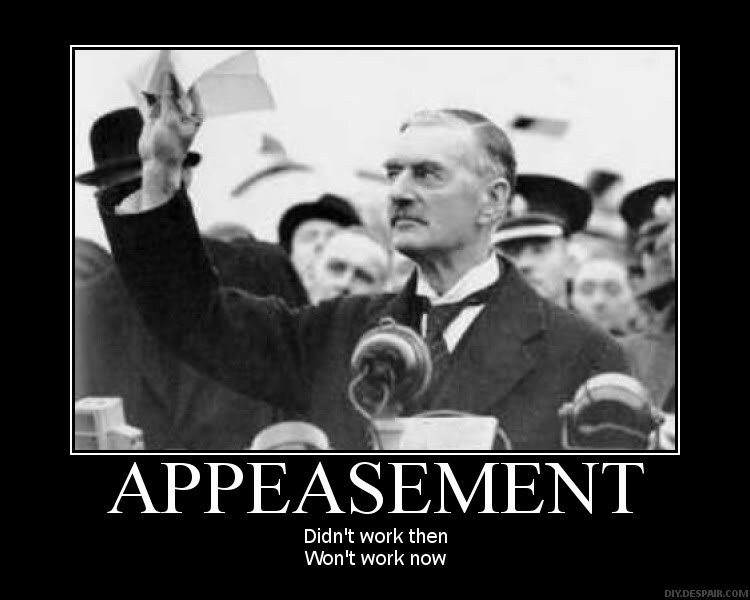 Instead of appeasement you can try to formulate a compromise which satisfies both parties. There is nothing like success to create more demands and if you appease too much then you will have a very controlling demanding tyrannical human in your life. For a complete readily accessible list of the 800 blogs go to twitter.com/uldissprogis or search my website with keywords such as dating, marriage, education, honesty, etc. Happy hunting!!! This entry was posted in common sense, education, science, society and tagged appeasement, common sense, compromise, control, demands, education, science, society, the truth about appeasement, truth on May 1, 2014 by uldissprogis. We have all been anxious, fearful, impatient, or eager waiting for something to exist which we predict will exist. If it is an anticipated good event(s) then we may sense impatience and/or eagerness and sometimes hope that it will exist sooner. On the other hand we may feel anxious and/or fearful if it is a bad event(s) which we are anticipating and may even be hoping that it won’t exist. Finally we may feel anxious, fearful, impatient, and eager if we anticipate both a good and bad event(s) to exist. This entry was posted in common sense, education, science, society and tagged anticipation, anxiety, common sense, eagerness, education, emotions, fear, feelings, impatience, science, society, the truth about anticipation, truth on May 1, 2014 by uldissprogis. You can get advice from a “professional”, a boss, spouse, offspring, family, close friend, an acquaintance, and celebrity. 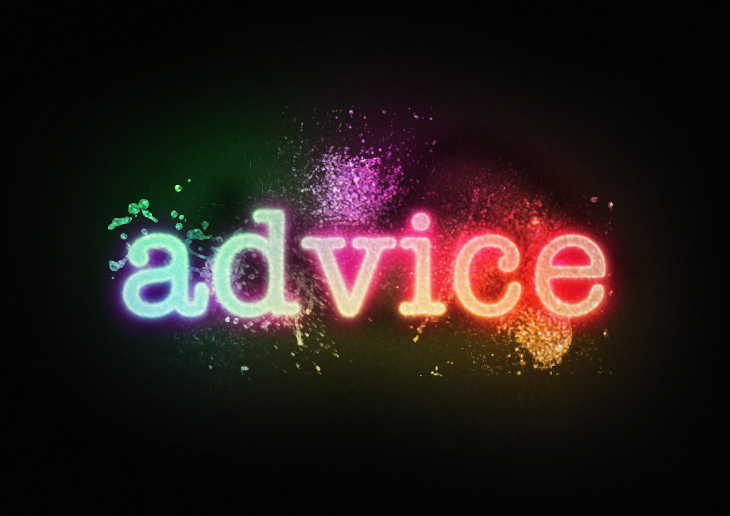 How do you know who to trust for good advice and on what issues? The probability that you will get good advice is greater if the source has a reputation of being honest, sincere, dependable, trustworthy, and competent and has been so for a relatively long duration. If you don’t have a dysfunctional family life and trust your moral spouse and have close trusting relationships with moral family members or close friends then these are the humans whom you can consult for relationship advice the most. Chances are they will be honest with you and try to tell it like it is from their point of view and none of them should be from dysfunctional families themselves. In this growing hedonistic culture with armies of dysfunctional human relationships even professional therapists are frequently not a good source of relationship advice because many have a myopic philosophy of -do what you like and with whomever you like and come back for more advice at a fee. Very few will be honestly blunt with you and insist that moral behavior is paramount in any great relationship and that requires honesty, sincerity, dependability, trustworthiness, empathy, emotional support, and an ability to communicate well with a minimum of confrontations, arguments, intense criticisms, and name calling. Professional advice is also sometimes suspect these days because many doctors are dispensing artificial sometimes addictive drugs with serious metabolic side effects which you shouldn’t be taking. Instead they should more frequently be recommending changing to a healthier lifestyle of eating more organic food, getting moderate exercise, and letting the body heal naturally which sometimes may take from a week to a month. Quick fix pills are frequently prescribed to mask symptoms and not cure the cause of the problem. Many top lawyers represent the wealthy and the relatively inexperienced ones representing the poor are frequently looking for deep pockets to sue. Stock brokers, media stock advisers, mutual funds, hedge funds can’t be trusted in the long duration because of a volatile rigged stock market favoring big money investments. Politicians can’t be trusted to eliminate special interest laws favoring big money interests and balance the budget the way the rest of us are expected to do. Advertisers of many beauty products, weight loss systems, food supplements, energy and mental boosters all deceive the public into thinking instant results are possible when in fact they are miracle promises or advice not based on any verifiable facts for large groups or populations of humans. Whether it is an individual or organization, if you want decent advise then go with the trustworthy ones who have been trustworthy for a relatively long duration for best results. There is no guarantee of good advice in life because even the trustworthy ones sometimes believe in the deceptions, myths, and lies of others who are in fact not deserving of trust. This entry was posted in common sense, education, science, society and tagged advice, common sense, competence, dependability, education, honesty, science, sincerity, society, the truth about advice, trustworthiness on May 1, 2014 by uldissprogis.